We might be jumping the gun here...we realize that the Charleston Cup is still two months away, but we’re chomping at the bit! And with Charleston’s rich history of horse racing, it’s no wonder. Did y’all know that Charleston has one of the longest histories of horse racing in the country? According to the South Carolina Gazette, the first race took place almost 300 years ago on February 1, 1734 here in Charleston near the vicinity of John and Meeting Streets. Historical records indicate that there were at least ten race tracks in the tri-county area--including the York course (1735) in North Charleston and New Market (1754), between King and Meeting near present-day Columbus Street. 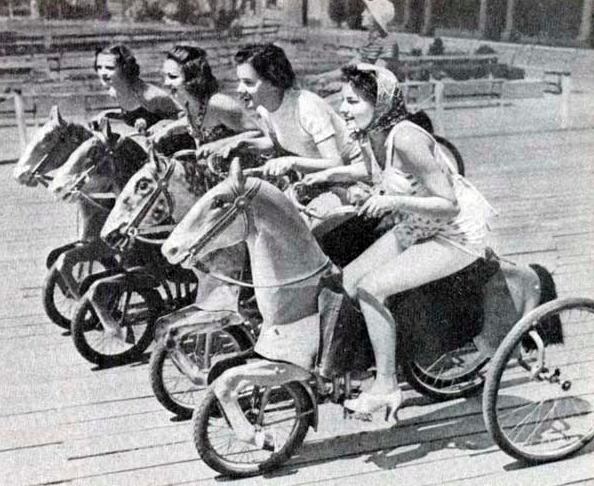 But the most prominent course was the more sophisticated Washington Race Course, which is now the mile-long Mary Murray Drive in Hampton Park. The Washington Race Course was built in 1792 by the oldest jockey club in North America, the South Carolina Jockey Club (est. 1734), after they purchased a 64 acre tract of The Grove (now Lowndes Grove) on the Upper Peninsula. 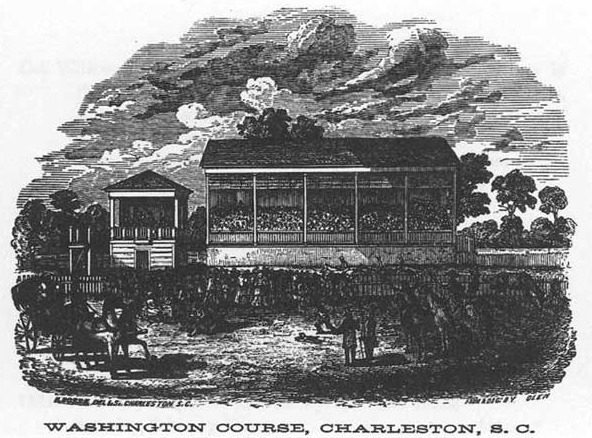 Beginning with its first Race Week in February, 1792 the Washington Course was at the center of elite thoroughbred racing in the South for nearly a hundred years. According to historian John Beaufain Irving’s book The South Carolina Jockey Club, Race Week was the “carnival of the state” and the highlight of the winter social season. Races were run Wednesday-Saturday but were not the only attraction at the course. Vendors set up to sell food and drinks, and attractions such as “The Learned Pig” were brought in for additional amusement. Ladies stayed in the grandstand and enjoyed treats and refreshments brought by their husbands. The Jockey Club held a dinner on Wednesday and a ball on Friday, and other evenings were filled with galas in downtown Charleston’s grandest homes. It was a fine time, both on the turf and off. Prior to the war, the wealthy Jockey Club had amassed large quantities of wine--including champagne and Madeira--for consumption at its races and famous galas. During the war, fearful of an imminent siege of Charleston by General Sherman, they hid a large cache of valuable Madeira in the basement of the Lunatic Asylum in Columbia. In 1877, the sale of some of this wine allowed the Jockey Club to rebuild Washington Race Course and begin a new season of horse racing. However, after a few years it was apparent that with the depressed economy of Reconstruction, the South’s interest and ability to keep up thoroughbred breeding and racing became impossible. 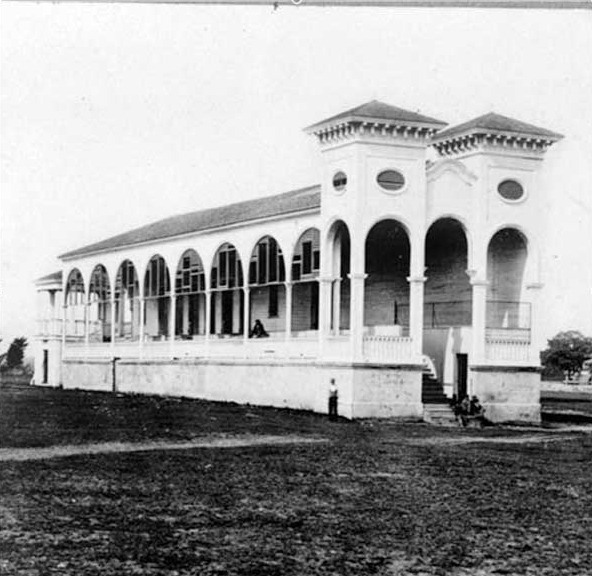 The Jockey Club held its last race at the Washington Course in 1882 and the grounds were leased as farmland. When the group disbanded in 1899, they sold the last of the hidden Madeira and gave the proceeds along with the racetrack property to the Charleston Library Society. The Society rented the land to the 1901-1902 South Carolina Inter-State and West Indian Exposition and then sold it to the City of Charleston. In 1903, August Belmont, Jr., a New York racehorse owner and part-time resident of South Carolina, asked to buy the four brick posts at the entry to the racecourse. The Major and the City of Charleston made them a gift, and they were installed at the entrance of Belmont Park on Long Island before its opening races in 1905. Every year since, hundreds of thousands of horse racing fans pass through the gates that originated here with the South Carolina Jockey Club and the Washington Race Course. How about that? Drew Denton and John Payne have been very busy helping homebuyers in the neighborhoods around the old Washington Race Course. Check out these gems! 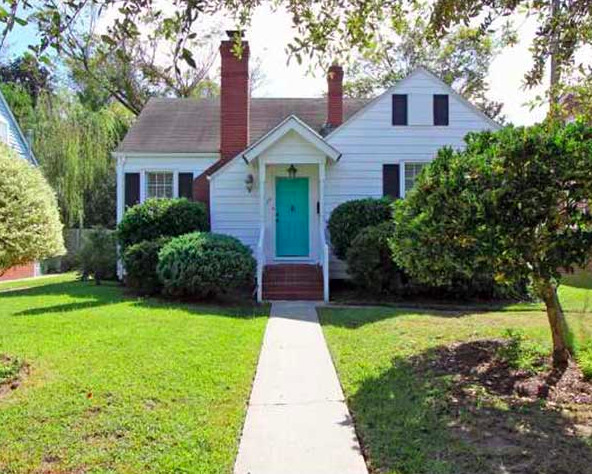 John Payne assisted the buyer for this adorable 1947 home at 49 Dunneman Avenue, the street facing the north side of Hampton Park in Wagener Terrace. 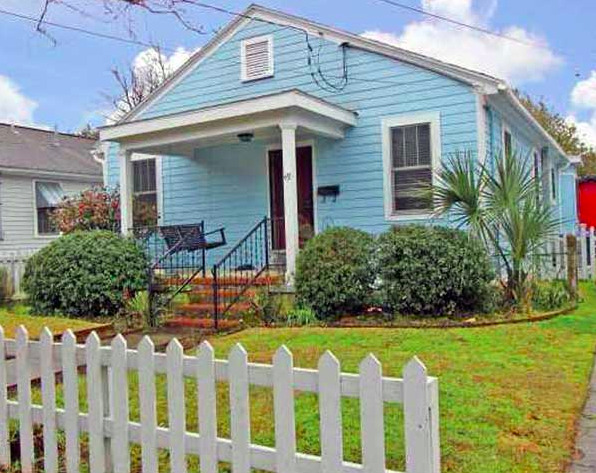 Drew Denton assisted the buyer for 628 Rutledge Avenue, a 1935 North Central house currently used as a duplex, just above Huger and across from the McMahon Playground at Hampton Park. 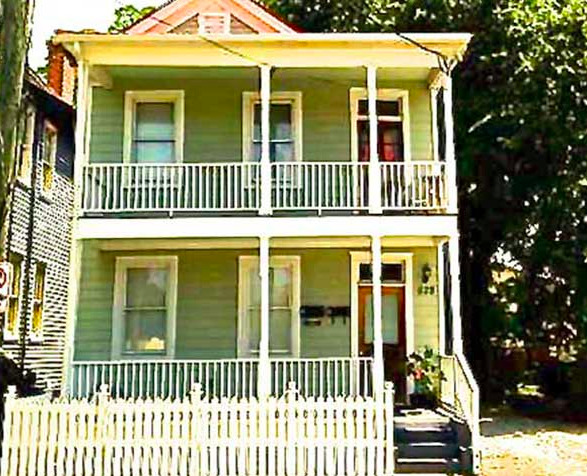 Drew Denton assisted the buyer for 79 Saint Margaret Street in Wagener’s Terrace, built in 1947.